Here we go, competitors: our two-hundred and fiftieth challenge! 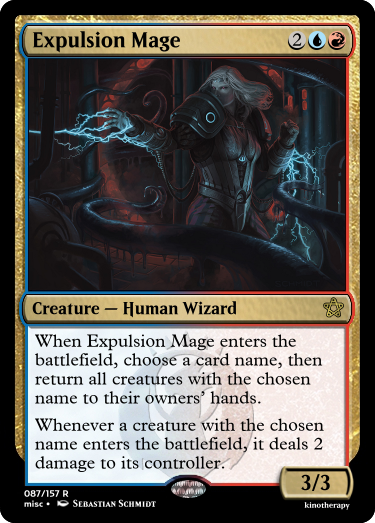 When Expulsion Mage enters the battlefield, choose a card name, then return all creatures with the chosen name to their owners’ hands. Whenever a creature with the chosen name enters the battlefield, it deals 2 damage to its controller. 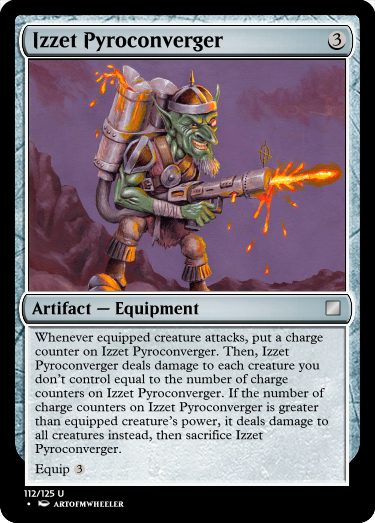 The name and effect are an obvious riff on Reflector Mage, which is not Ravnican, but the art is Izzet fanart, which is Ravnican, so there we have it. 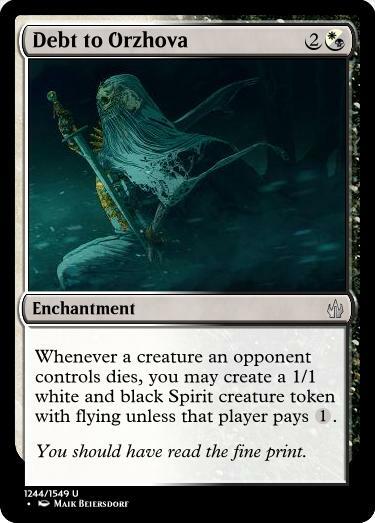 Whenever a creature dies, draw a card. 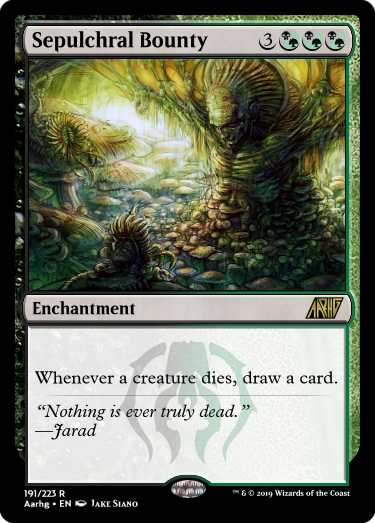 "Nothing is ever truly dead." 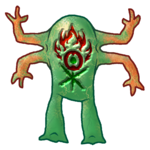 (b)(g), Discard a card: Create a 1/1 green Saproling creature token. Activate this ability only any time you could cast a sorcery and only once each turn. As you can see, I really need help with reducing wording. 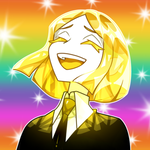 XD That said, I think the concept works, it's just wordy. 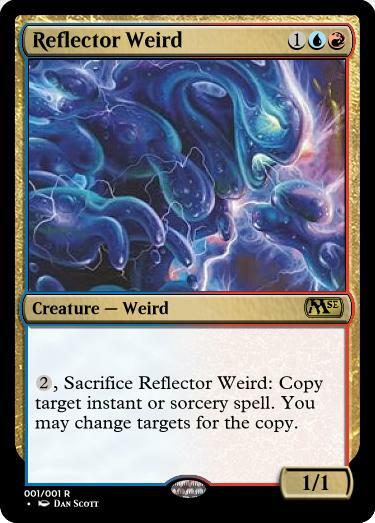 , Sacrifice Reflector Weird: Copy target instant or sorcery spell. You may change targets for the copy. 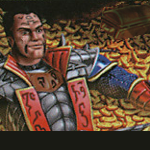 Whenever Lord Rakdos enters the battlefield or attacks you may pay X. 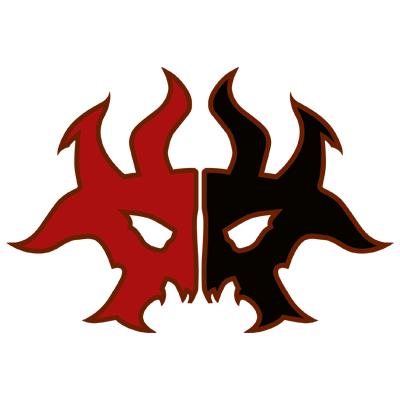 If you do Lord Rakdos deals X damage to each other creature and each player. 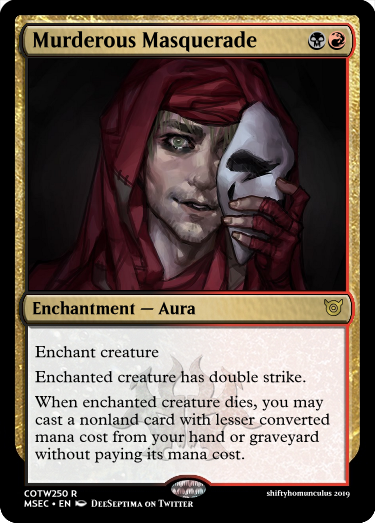 I love Rakdos, and his card in RNA was a big disappointment for me, so this is my take on him as an spectacle enabler. I mean, let's be real. 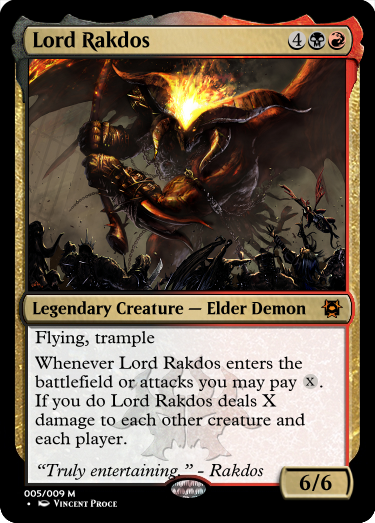 It's always Rakdos time. I've gone and done a big ol' streamlinin' of my entry. Original one was too messy. New one is quite the opposite, but very impactful. As per Fecundity, you could prolly get away with knocking off a & adding "you may" to the draw. 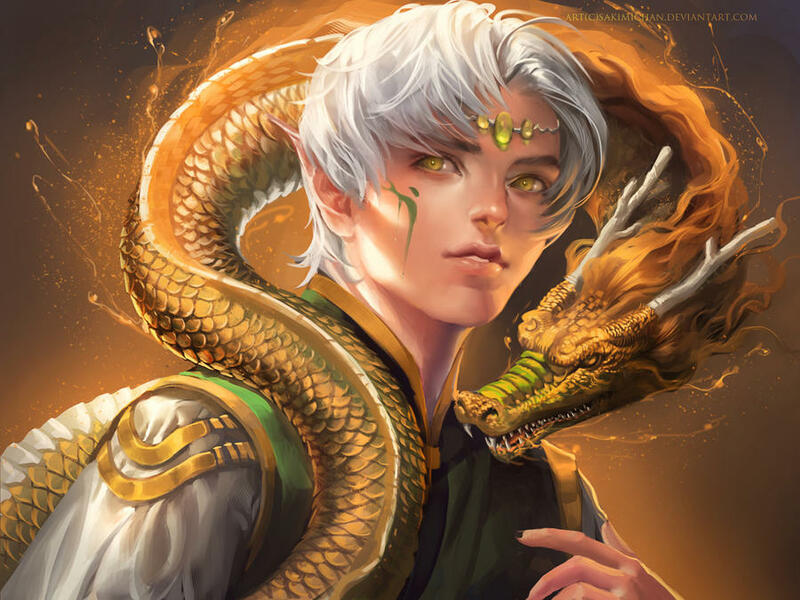 @qorbin: Your render doesn't show up for me. I'm not sure about that. 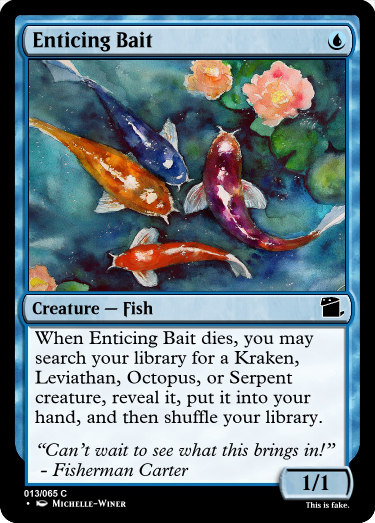 It's a pretty big drawback that Fecundity also gives your opponents cards. Look at Dark Prophecy. It's a one-sided version of Fecundity at the same cmc, but it has a much more demanding mana cost and you lose life with each draw as well. 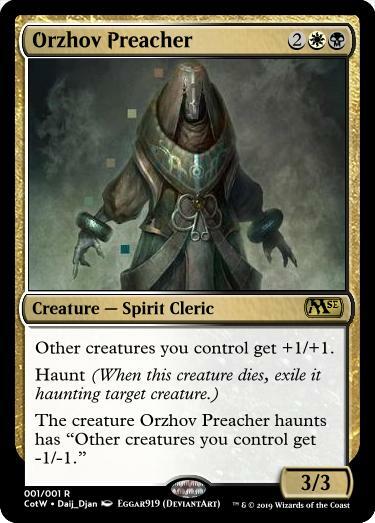 Harvester of Souls is very close to my card, but here you also get a beefy body. 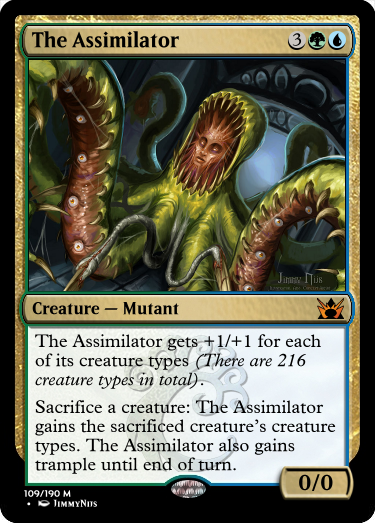 The catch is that Harverster doesn't count token creatures. Sepulchral Bounty allows for more shenanigans here, and is probably also a bit harder to get rid of. I could see Sepulchral Bounty costing a mana less, but it would be pretty pushed, and I think realistically it would sit comfortably at 6 mana. Ok, I can understand that. But what about the optional draw? I low key (that’s what hip people say, right?) want to make it fit in only one line for aesthetic purposes, but I also like the challenge of no “may” clause. It feels pretty black, you know? Dark Prophecy doesn’t let you choose either. A bend? Yep. A break? Who knows? gateways7 : Nice tweak on Savor the Moment. viriss : Considering March of Souls, you might be able to get away with knocking off an , unless your personal playtesting has told you otherwise. gateways7 : Nice tweak on pSavor the Moment. I thought about it but since it's a one-sided creature gain the X felt like a better balance. 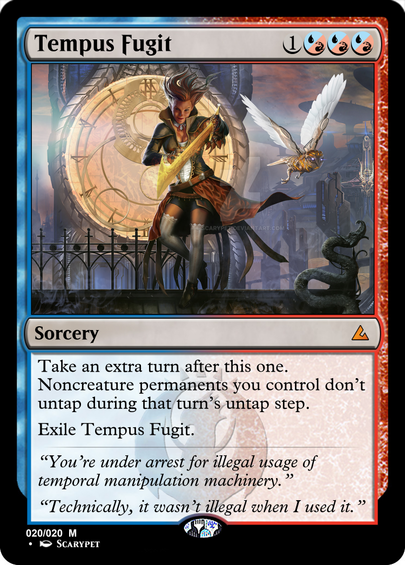 Detain up to two target creatures your opponents control. Addendum — If you cast this spell on your main phase, detain each creature your opponents control and draw a card. 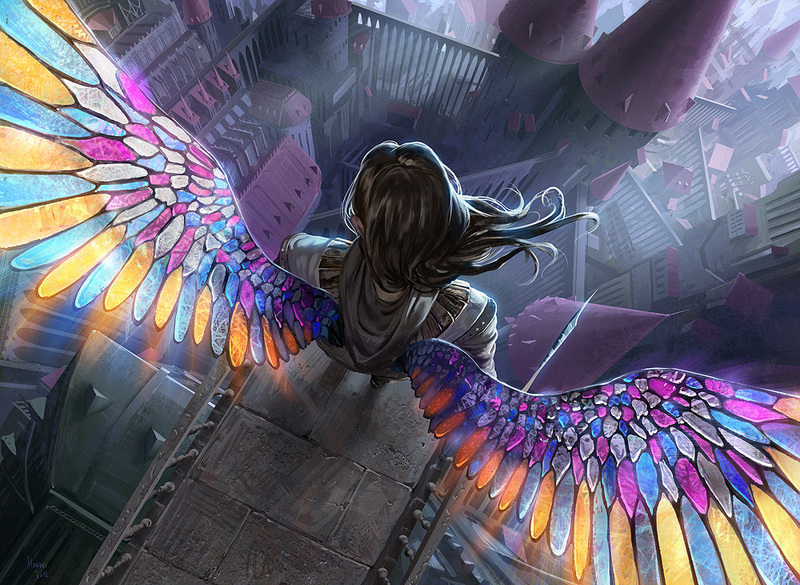 When i saw the prompt was Ravnica, I tried immediately to go back and get all 3 keywords that guilds used, and then make a sweet card with them, but they have proved to be either broken or not synergistic at all. That being said, i think this one came together pretty well.